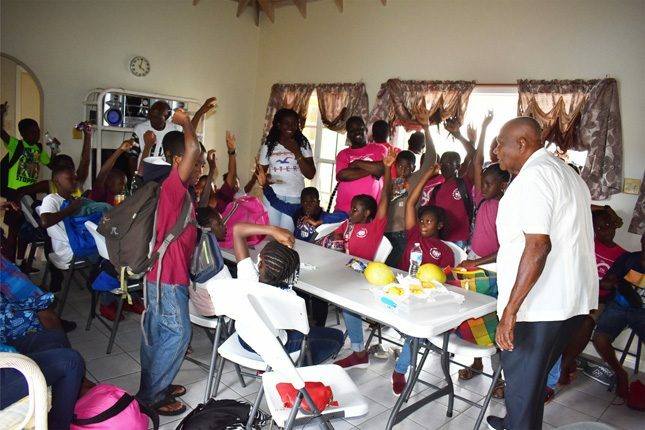 Grade Five students of the Dr William Connor Primary School at the Paradise Estate home of Mr Richard Caines in Nevis. 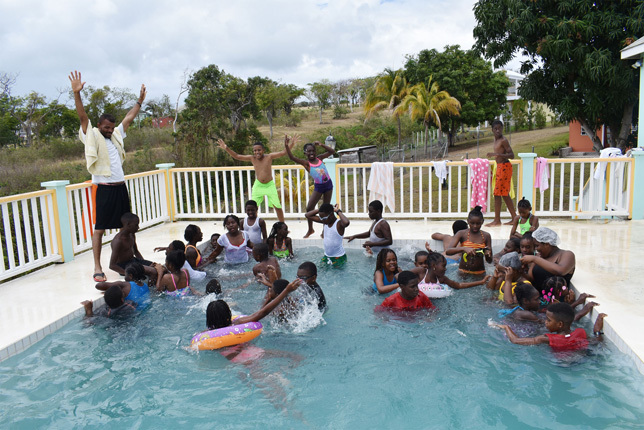 : Teacher Benjamin Thomas (left) ensuring that all the students were safe while in the swimming pool. 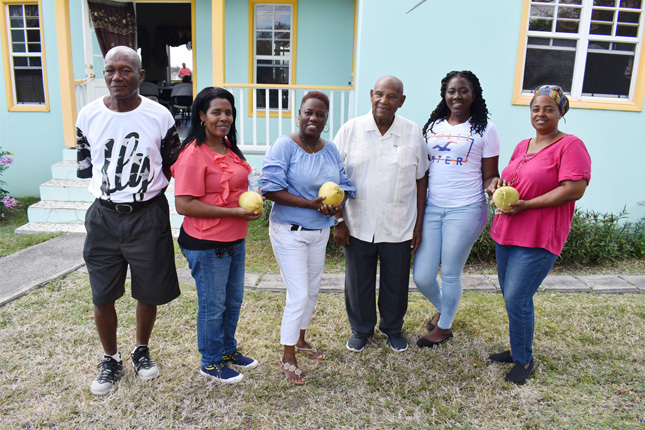 L-R: Mr Winston Zack Nisbett, Parent Mrs Mulunesh Collins, Principal Mrs Jean Boddie, Mr Richard Caines, Teacher Ms Aleica Nembhard, and Parent Mrs Gene Wallace-Primus. 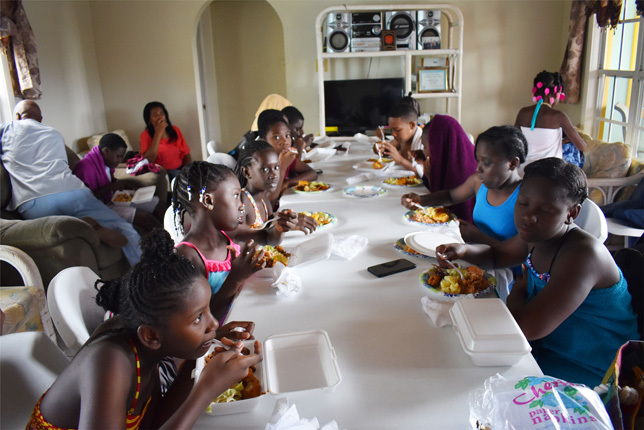 Host, Mr Richard Caines, addressing the Grade Five students of the Dr William Connor Primary School after their lunch. 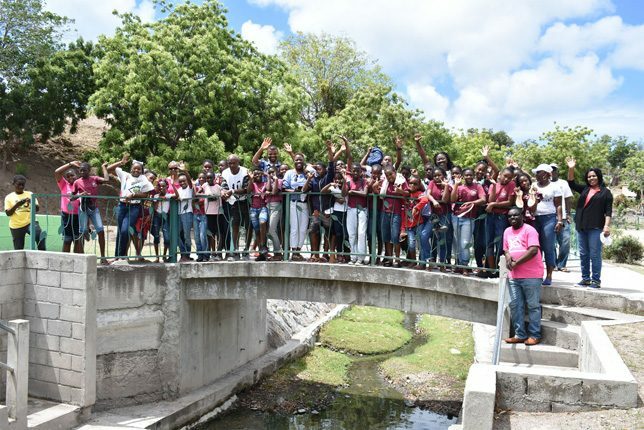 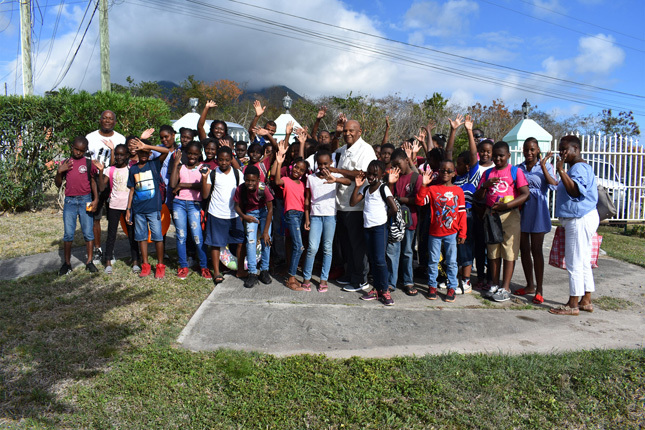 Basseterre, St. Kitts (April 10, 2019) — A group of Grade Five students from the Dr William Connor Primary School in West Basseterre on Tuesday April 9 visited sister-island Nevis on an educational tour that was sponsored by businessman and former Government Minister, Mr Richard Caines.